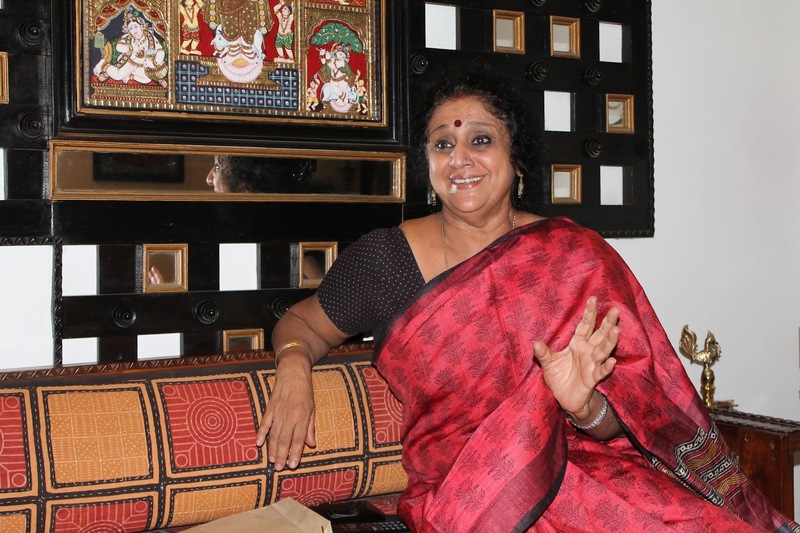 This Sunday I am in conversation with eminent Bharatanatyam dancer Chitra Visweswaran! The way Chitra Visweswaran communicates, both with her eyes and with the words she chooses, elevates your understanding of whatever she is saying to a higher level, almost instantaneously. 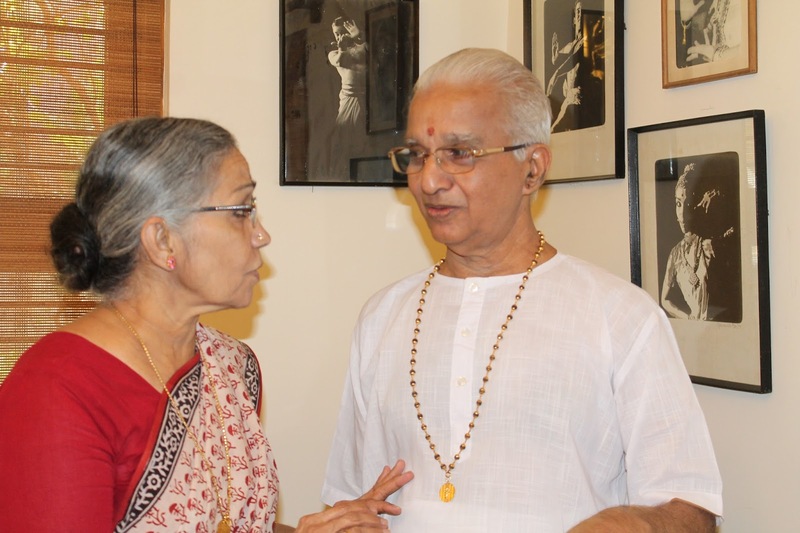 Yet, for someone who is among India’s most acclaimed Bharatanatyam dancers, and a Padma Sri awardee too, Chitra is so simple, so grounded, very down-to-earth and evolved. “Life is an eternal journey of learning, a sadhana. We must learn to enjoy the journey more than getting worked up about the end. That, to me, is happiness,” she says as we sit down one afternoon to have a conversation over green tea in her tastefully decorated living room. That journey, to Chitra, has been eventful. The world sees only a great artist in her, but beyond her dance, she’s among the most compassionate human beings you will ever meet and a doting sister. Her brother, Arun, is two years younger than she is. He was born normal. But when he was just three, he was struck by an ailment that impaired the development of his brain. Chitra herself was young and did not then comprehend the import of how Arun – and her family – will have to cope with this lifelong situation. But when they were both adolescents, Chitra came to the realization that Arun will never be normal again. She was overwhelmed and grief-stricken. Arun’s condition often made him turn violent. And Chitra had to face the brunt of his uninformed rage on many occasions. Their mother, Rukmini, helped Chitra cope. “She ensured I didn’t wilt under sorrow. I was, at that time, unsure of what I wanted to do in Life. My father wanted me to be an engineer. I was good at singing. I also loved dancing. But my mother helped me find focus. She said to me, ‘You are an okay singer. But you are a brilliant dancer.’ And that got me started. 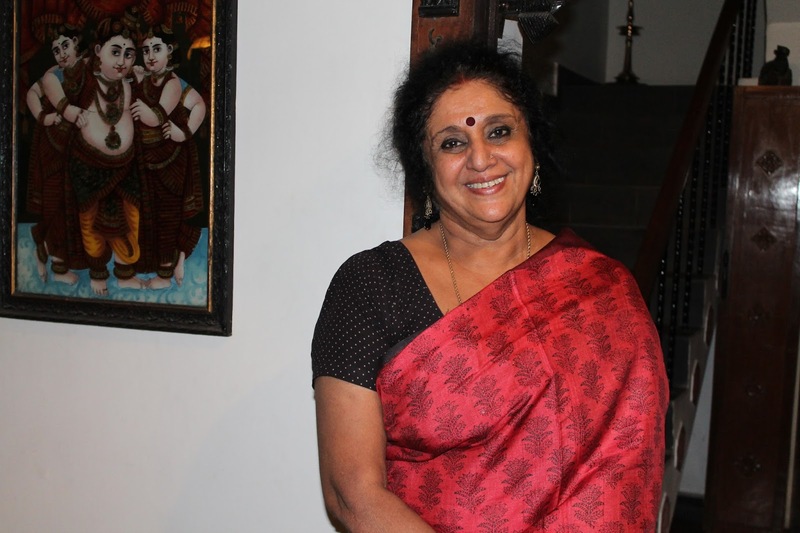 My rigorous training as a dancer helped me come to terms with Arun’s condition and our Life,” recalls Chitra. 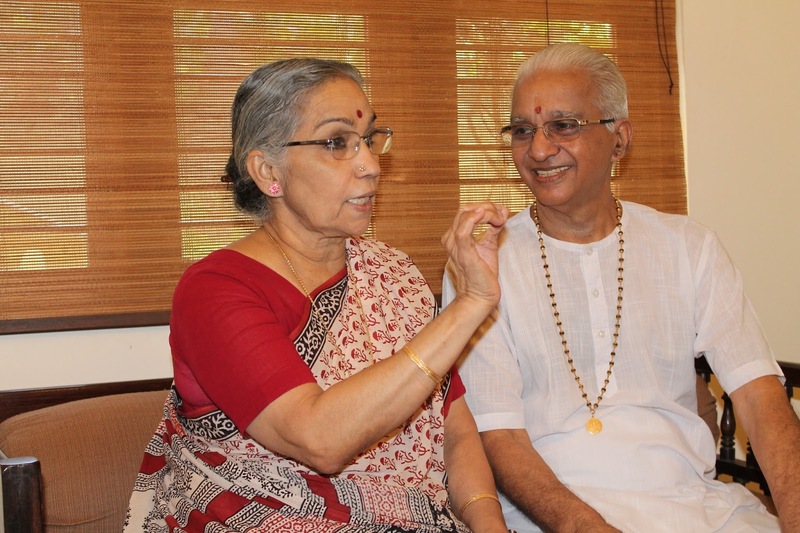 Rukmini also taught Chitra something that has remained at the core of all her Life’s work. “She told me never to dance for fame or name, but to dance, offering myself to the Universe, offering my dance as a prayer,” says Chitra. As she evolved in Life, and as she rose in her career, Chitra began to value her mother’s perspective greatly. “I don’t think we must limit this ‘your work is prayer’ philosophy to dance alone. I have learnt from Life that whatever you do, if you do it as an offering to a higher energy, immersing yourself in it, it will be your prayer. ‘Doing’ this prayer consistently is what happiness is all about. You could be cleaning cobwebs, or cooking, or gardening or you could be a teacher, a doctor, a lawyer or…a dancer, whoever you are, whatever you do, immerse yourself in what you are doing, and you will be happy,” explains Chitra. Few can share Life’s lessons more humbly and gracefully than the way Chitra has. Perhaps such humility and grace comes from choosing to see Life the way it truly is – as an eternal blessing!